The Maui Native Hawaiian Chamber of Commerce will present its “Kalikimaka Kea” year-end celebration Tuesday in the Kahili Restaurant’s Nahele Room in Waikapu. Kahili Restaurant will be serving a holiday buffet and desserts. Attendees may bring their keiki as a “special guest” will be making an appearance. The celebration and no-host cocktails will begin at 5:30 p.m. The cost is $55 for members and $65 for nonmembers and includes a holiday buffet and dessert. Call for cost for keiki. RSVP and pay in advance at www.mnhcoc.org or call (808) 757-3045 to pay by phone. No payments will be taken at the door. The deadline to RSVP is Friday. 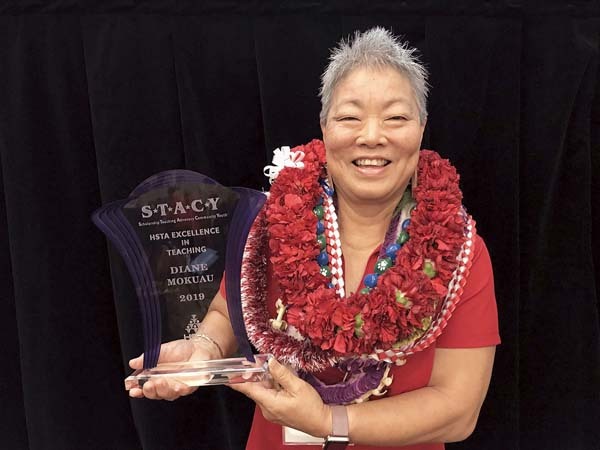 “We have so much to be thankful for and want to mahalo our members and friends of the chamber for another wonderful year,” said Teri Freitas Gorman, president of the chamber. Lahaina Arts Society will showcase Maui artists at its first Holiday Art Festival located at Lahaina Cannery Mall on two weekends: Saturday, Sunday and Dec 22, 23. Guests will have a chance to meet LAS artists, view and purchase paintings, glass art, ceramics, photography, woodcarving, jewelry and more. The Maui Youth Philharmonic Orchestra will present its Winter Concert at 3 p.m. Sunday at Baldwin Auditorium. It will feature the cello class, directed by Keani Kahuhu; the violin class, directed by Rona Landrigan; and the Philharmonic Orchestra, directed by Iolani Yamashiro-Rahimi. Admission is free. For more information, visit mauiyouthphilharmonic.org. “Shaping the Future” is the theme of a TEDxYouth@ KKHS event at King Kekaulike High School’s Performing Arts Center on Saturday. Registration is at 1:30 p.m., doors close at 1:50, and the program begins at 2 and ends at 5. “Island Style: A Night with John Cruz, HAPA & Special Guests,” a benefit Maui’s Keiki Cancer Program, will take place at Nalu’s South Shore Grill in Kihei on Saturday. Doors open at 5 p.m. and a three-course dinner show begins at 5:30. Individual tickets are $65. Tables of 10 are available for $650. For more information about this benefit, call the Pacific Cancer Foundation at 242-7661. The nonprofit Maui Makers will be holding a toy- and craft-making workshop from 10 a.m. to 2 p.m. Sunday in the Waikapu Light Industrial area. Those attending will learn how to use various hand and power tools, 3D pens, beading and stamping to make ornaments, decorations and toys. Parents must stay with their children, and those attending must wear closed-toe shoes for safety reasons. Admission is free, though donations are accepted. Maui Makers is located at 362 Pakana St, Unit 103. It is a nonprofit community space that gives access to the tools and training to make just about anything, its website says.